Unlike the PNG format from other formats for graphics is that transparent or partially transparent parts of the image when you save and remain transparent. When you save files in a different format this transparency may be lost. To create and, more importantly, preserve a PNG file, you need to consider a few things. A lot depends on what graphics editor you are working with. The simplest program type standard Paint, in principle, does not support transparency. More functional program Paint.net, CorelDraw, Adobe Photoshop (and similar) allow you to adjust the transparency of images and supports the work with layers. To adjust the transparency (partial transparency) of the image or any part of it, create new layers and use the tools in your editor to customize the display of layers. Depending on the editor features, perhaps before saving you will have to merge all layers. To save the image in the form in which you see it in the editor, click in the upper menu bar item "File" (File). From the drop-down menu, select "Save as" (Save as). In the dialog box, specify the directory to save the file in the "file Name" (File name) enter the name under which you want to save the file. In the field "file Type" (Format) from the drop-down list, select PNG(*.PNG) and click on the "Save" button (Save). In that case, if the Union of the layers leads to a loss of transparency, or save the image without merging the layers, or set your editor tool that allows you to export layers in the format .png without losing the transparency (for example, Adobe Photoshop standard tools can't do it because list formats does not expand .png). Download from the Internet the appropriate script. As a background, set the transparent layer and the main image place it on another layer. 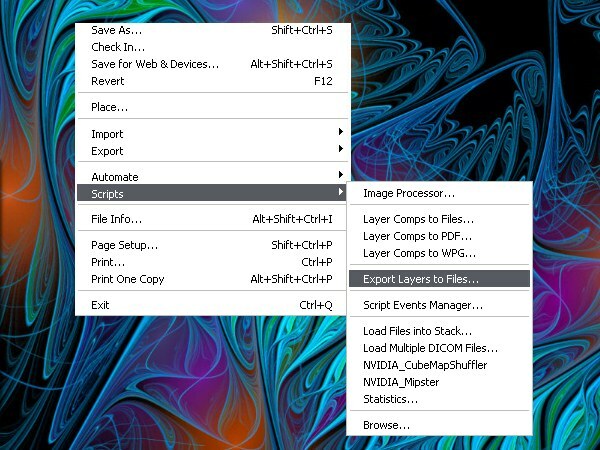 Select in the top menu bar item "File" in the ensuing menu - item "Scenarios" (Scripts) and the command "Export layers to files" (Export Layers to File). In the dialog box, select the directory to save the layers, set the marker in the field next Fast Mode (Don't remove hidden layers) in the "file Type" select the format .png and click "Run" (Run). This will lead to the fact that you will have saved two files: one empty and the other will be the image with your opacity settings. 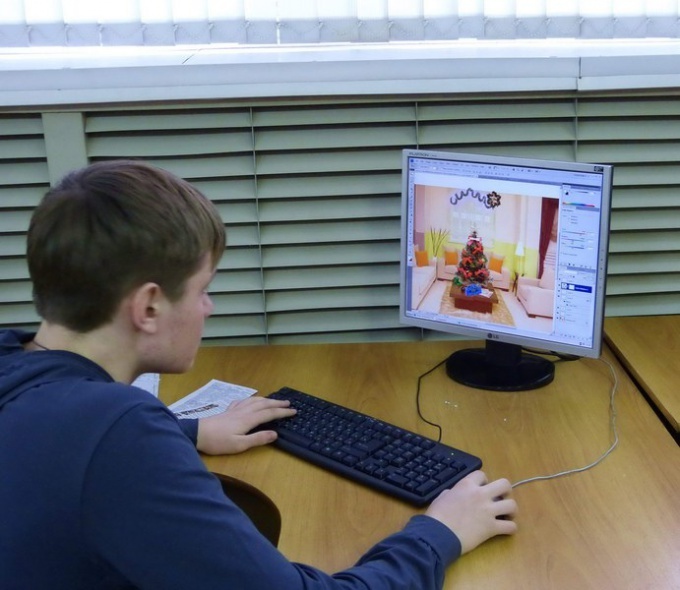 The images on the computer are in the form of digital files, the format of which depends on the type and purpose of graphics. Conventionally, all these formats are divided into two large groups — to display images on the monitor screen and for printing. Today of all used graphics formats for web images are often used three — gif, jpeg, and young, but very promising png format. Developed in 1995 as an alternative did not meet all user requests GIF, it is designed for images to use which will on the Internet. Unlike gif, png supports 24-bit images and background transparency without jagged edges. The main advantages of the png format —support any colors, work with transparent pixels, effective image compression without loss of image quality. Unlike gif, which only supports full transparency, png also saves semi-transparent pixels (1-99%) due to the alpha channel with 256 shades of gray. Built-in gamma correction allows distortion-free display color on any computer, regardless of platform. This format has the ability to boot from an interlaced display, and dual horizontal and vertical. The png format supports RGB color model, Grayskale, Indexed Color, and Bitmap without alpha channels. It is not intended for use with professional graphics and does not support CMYK color. The easiest way to open a file — double-click on it with the left mouse button. Even if the computer is not installed any additional programs, start a "photo viewer Windows" and the picture will open. In addition, this format without problems opens the Paint (which you can still edit the image and create a new one) and the Internet Explorer included in the package of standard programs. For more comfortable work with images it is better to install on the computer the special program intended for sorting, viewing, and processing. Png is a graphic file, so it can easily run any of these programs. There are many free apps, the functionality of which is sufficient to resolve most issues. If the system cannot open the file with a png extension, you need to reinstall the standard app to check the windows registry for errors. Picasa — a program designed for viewing and editing images. Has built-in filters that will help to quickly and accurately process the image. Moreover, in Picasa you can create a presentation of images, choosing them and putting the transitions sound. FastStone Image Viewer is a handy app for home use. Includes all the basic functions of image processing. The main advantage of this program is to view the image, open in full screen with the increase of individual parts. This will allow to consider in detail any area. Slideshow made with FastStone, will have the extension exe, so it's easy to run even on very old computer. XnView is a very functional program with clear interface. Photos you can not only see, but also to edit. Such frequently used operations like rotate photo, alignment, colors or removing red-eye, available immediately in the preview window. In addition, in this program you can create blur effect or to improve clarity. XnView has many useful options. For example, finding duplicate files, group processing, and creating a slideshow. Ashampoo Photo Commander FREE is a quality utility for viewing and manipulating graphics. Has built-in effects such as Sepia, shadow, and sharpness, allows you to crop and rotate the image. In addition to the basic functions, has the ability to take snapshots of the desktop, record the pictures on a CD or DVD, convert images and send them via email. In addition, it is possible to create panoramas and collages. In addition to the graphical editors and image viewers, a file with the extension png open in any modern browser, and in Microsoft Office Word. All the programs are completely free. There are many other similar apps. Among them we can mention, for example, Honeyview, which allows you to view photos directly from the zip, 7z or rar files without unpacking them. Also noteworthy image viewer Irfan View. Its functionality can be significantly increased by using plug-ins, the choice of which will depend on the challenges faced by a specific user.